MANILA, Philippines - Samsung Electronics Philippines officially launched its two new flagship devices, the Galaxy Note5 and the Galaxy S6 edge+ through an exclusive Unpacked event held at Marriott Manila on Friday, August 14 or a day after the global unveiling in New York City, USA. 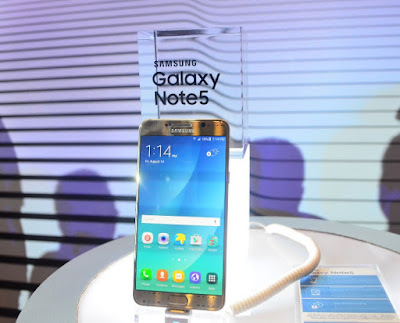 Samsung Galaxy Note5 is here! "Taking cue from Samsung Galaxy’s re-imagined design philosophy introduced through the Galaxy S6 & Galaxy S6 edge, Samsung's newest star duo shares the same elegant aesthetics that merge beauty with purpose – now exquisitely applied to its flagship large screen devices," Samsung Philippines said in a statement. The Samsung Galaxy Note5 and Galaxy S6 edge+ crafted with metal and glass are protected on both sides by Corning Gorilla Glass 4, wrapped around matte aluminum. The new phablets boast its 64-bit Exynos octa-core processor and 4GB of RAM. 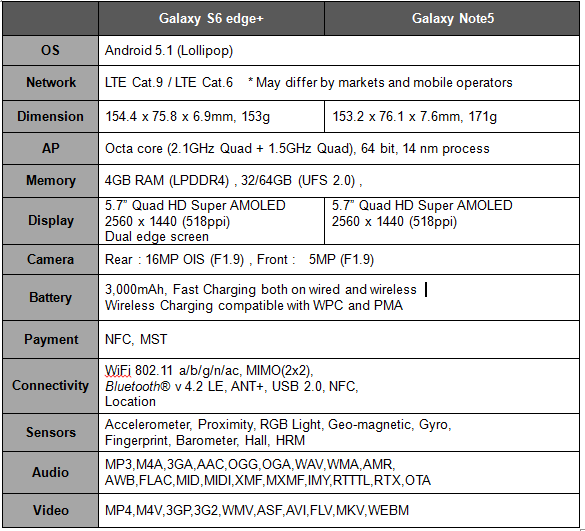 Both devices will be available with 32GB worth of storage with Galaxy S6 edge+ to be offered in a bigger 64GB variant. The new devices run the latest Android Lollipop OS and also come with Dual SIM capabilities. The fifth iteration of the original large screen phablet -- Galaxy Note5 now offers a better grip, and easier touch access to S-Pen. Accessing and hiding the Enhanced S Pen is easier with a click-to-pull-out system located ergonomically at the bottom of the device's curved back design. The Enhanced Screen Write function allows users to scroll capture entire pages of content (up to 22 pages) which they can then save for future reading or share with their friends. 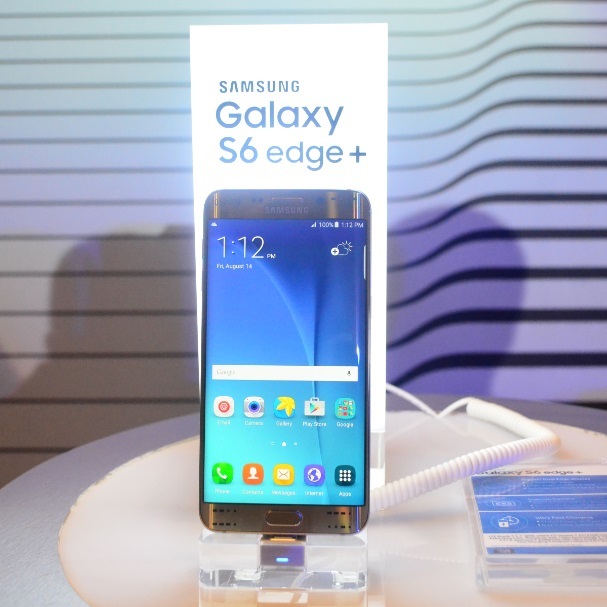 On the other hand, the new Galaxy S6 edge+ offers dual-edge display experience – with its 5.7” Quad HD Super AMOLED display. It has 16-megapixel rear, and 5-megapixel front camera with F1.9 aperture. The Galaxy S6 edge+ is also powered by a bigger 3,000mAh battery with Ultra-Fast charging capabilities whether it’s wired or wireless. On wired charging, the Galaxy S6 edge+ is tested to charge from 0 to 100% in just 90 minutes. Wireless charging will take a longer but relatively still short time of 130 minutes. 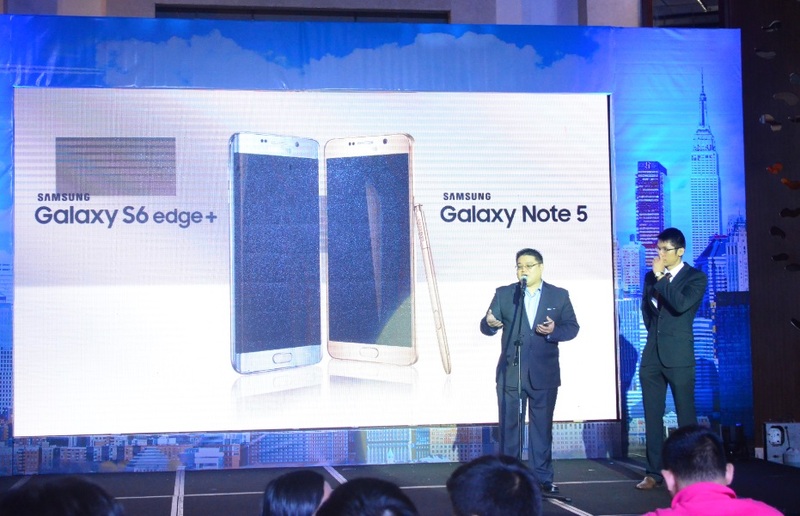 The Samsung Galaxy Note 5 will be priced at Php36,990 (32GB variant) while the Galaxy S6 Edge+ will be available for Php39,990 (32GB) and Php44,990 (64GB). Both devices will be up for pre-order starting August 17-30. Availability in the Philippines will be on September 5, 2015. 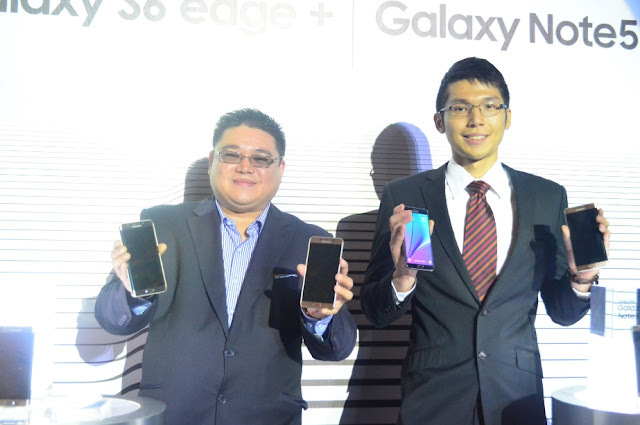 The Galaxy S6 edge+ will come in Silver Titanium and Gold Platinum variants. Visit Samsung Experience Stores nationwide from August 17, 2015 to Pre-View & Experience the All-New Samsung Galaxy Note5 & Galaxy S6 edge+.